Arise From Thorns - "Before an Audience of Stars"
Moody and mysterious, Arise From Thorns may sound like they come from the Goth rock school of music, but in reality, their music has more to do with progressive rock. The songs, most of which are in the 5 - 6 minute range, bear the mark of complex arrangements, deft instrumental passages, underlying orchestral-like nuances, and rich and moving melodies. The band was put together by Virginia based guitarist Scott Loose and drummer Trevor Schrotz. Scott's sister, Michelle Loose, on lead vocals and keyboards, joined them a short time later. Rounding out the band are bassist Chris Welborn, and guitarist Tom Phillips. All the musicians display skill tempered by restraint, but it's Michelle Loose's extraordinary voice that carries the music. She has a great range, from soft and wistful, to soaring and powerful. Her keyboard talents are also an integral part of the sound, lending orchestral and medieval flourishes throughout, without ever overwhelming the music. The guitars are mostly acoustic, something not often heard in progressive music, but this is not what I would think of as acoustic music. Nor does any one musician in the band come across as dominating the sound. All of them work together equally, avoiding the sometimes ego-based problems of other progressive bands. Lyrically, the songs deal with loss, passion, longing, and existential thoughts, and are filled with poetic images of windswept beaches, fallen leaves, and grey ocean waves. I must say something else about this CD as well. For a self-financed, indie project, the production is outstanding. Each subtle cymbal strike and plucked acoustic string can be heard crisp and clear, and all of the instruments fall into the mix perfectly. Most impressive. While the band has not changed, either in sound or in members, they have, in an attempt to separate the full band from the project's origins, changed their name since this release, to Brave. Which is too bad. 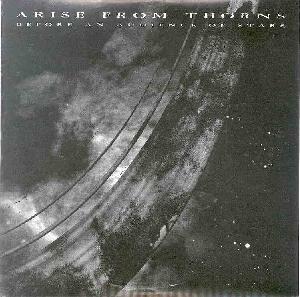 Arise From Thorns was such a hauntingly, evocative name, whereas Brave tends to conjure images of a Marillion cover band, to me anyway. But in the end, as long as they continue to produce music of the quality on Before an Audience of Stars, it really doesn't matter what they call themselves. Brave's (and Arise From Thorn's) website can be found at: http://listen.to/arisefromthorns. Another informative (and currently more complete site) is: http://www.geocities.com/SunsetStrip/Underground/6953/. Before an Audience of Stars is distributed by Dark Symphonies. You can visit their web site at: http://www.darksymphonies.com.